I like to see these things in my browser + what LLB said ;). Cool motorcycle. At first I thought it was webgl but then I noticed the speed during the texture mapping. It's impressive when people did before WebGL and still do triangle rasterizer in pure js. Really impressive. Good work. Too 2D like Quake2 maybe, but hey - it is canvac one! Slow at home but fun and no webgl! 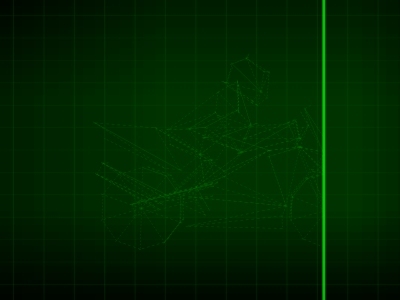 Optimus: With Canvas 2D doing affine texture mapping with bilerp takes a couple of lines of code ( a setTransform of doom, a clip path a drawImage, voilà ). Writing a triangle rasterizer in JS is crazy talk. Very amazing demo in Js, good job guys ! How can something so simple run so slowly? Although I think you can do cooler and faster things with 2D canvas as long as you don't do too much filling. Yep, too slow. Also, not a looker. Pretty fine to look at + what LLB said. Nuts for partycoding,- tune is massive and fits this 47kb prod of awesome well! page created in 0.016294 seconds with 15 queries.